Know your inventory position anytime and stop wasting over-stuffing of inventory. Handle your Goods Receiving and Sales Orders in realtime. 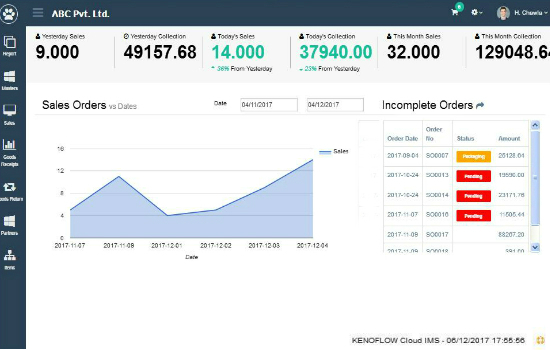 With Kenoflow, you can focus on increasing your sales from any channel (online or offline) and forget about inventory & orders management. Kenoflow is designed to handle backend operations of order fullfillment and their corresponding inventory management. A single system where you can process sales orders with multiple warehouse and online channels (like Flipkart / Snapdeal / Myntra etc) or offline channels. An amazing product that has helped businesses manage their Inventory, Goods Receiving and Sales Orders. Being in cloud it gives extra benefits of checking stock availability on move. System helps businesses tracking their inventory balances, sales orders and deliveries. Manage multiple warehouses and inventory stock balances efficiently across all channels on a single platform. Inventory Management System helps to avoid item overstocking and outages. The system comprises of various components to streamline inventory optimization for the busineses. Define business specific Item information with Brands, Groups and Types. 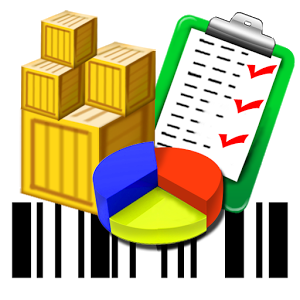 Manage multiple warehouse with thier Goods Receipts to handle stock balances. 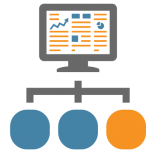 Manage multiple sales channels and manage Orders at different stages. Consolidate daily Stock Inwards and Outwards at multiple warehouses. a backbone to streamline business with Orders and Inventory! Manage your multiple warehouses and their stock balances in realtime to minimize Inventory Overstorage & re-orders for purchase planning. Manage multiple sales channels to track Orders individually and track them through various stages of order fullfillment. Process Goods Receipt Notes & Sales Order and print them with your Organization Logo & Address (along with GST details). Define your business specific product line with their Brand, Category, Type, Prices, applicable GST Rates & HSN Codes etc. Maintain the list of Customers and Vendors masters for easy handling and further business processes for Orders and Purchases. We made it simple and affordable for you! Still have a question? Tell us your concern / queries. Copyright © 2019 Kenovate Solutions. All rights reserved.